Hey buddies! It’s Georgie here from In it 4 the Long Run, a blog all about living a joyful, healthy life for the long run. I’m so lucky to have met Christina through the magic of the interwebz and without a doubt blogging has been SO much more fun with her by my side. Today I’m sharing my process from taking a recipe from idea to hitting publish on the final post. Ever wonder what goes on behind the scenes to bring a recipe to life on the blog? Hint: a lot of (really fun) work. While bloggers share a lot of our lives through our recipes and writing, we don’t often take you into the kitchen where we’re making all of the mess. Christina and I wanted to collaborate today to show you what our process from from start to finish looks like when we’re making a recipe to share. After 2 1/2 years of blogging, I’ve finally found a recipe development and blogging process that works for my schedule and working style. 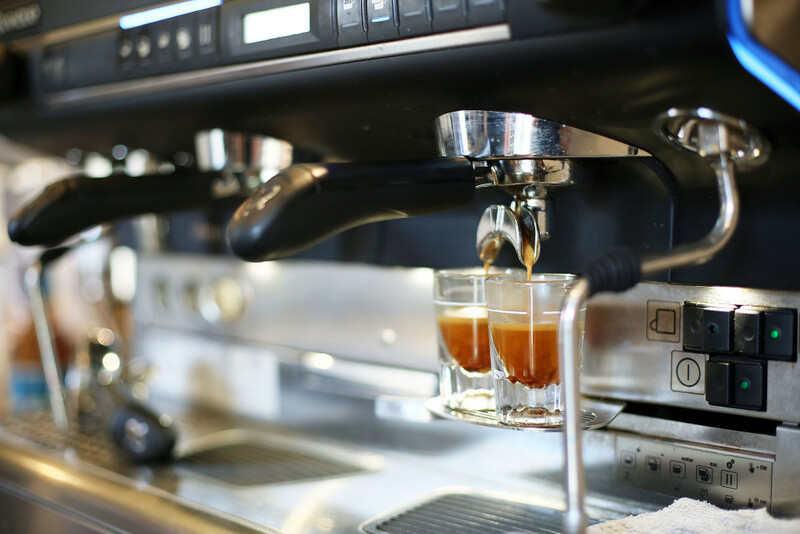 Outside of blogging, I work 40 hours at a local coffee shop, which means I get 1 full day off a week. That day is usually dedicated to creating and shooting the recipes while mornings and nights before and after work are dedicated to planning, writing, editing, promoting, designing, strategizing, working on sponsorships and all the other wonderful parts of blogging. When I create content for the blog it’s almost always in batches. That means I’ll spend a day of creating and shooting 2-4 recipes, then spend a block of time writing 2-4 posts at a time, editing all those images and so on. This makes the process much more efficient because you’re not breaking focus to switch gears. For me, the writing process is definitely the most intense and the one area I need complete focus to work on. Today I wanted to show you what it takes for 1 recipe to go from conception to being published, step-by-step. At the end of each month, I’ll sit down and start brainstorming recipes for the next month. I keep in mind seasonality, as well as adapting to what my audience enjoys. I like have all the recipes for each month planned out with content ready to publish two weeks in advance. It took me a long time to get a regular schedule in place, but having things planned far in advance gives me a much greater sense of freedom and creativity because I’m never worried about what’s going out that week. I have a decent margin for error which makes experimenting much more fun. Luckily, and sometimes to my own detriment, my tap of ideas is always flowing. To the point where sometimes I wish I could just turn them off. All the recipes I share on the blog are relatively simple, which actually gives me more room for creativity. I find that when you have some kind of restriction it can help give you more freedom. “Simple, easy-to-make, vegetarian recipes” is a solid starting block and from there it’s about finding inspiration from my own experience and from what my audience reacts well to. Most recipes are variations on experiments I’ve tried on myself and my development process might not be as scientific as some, but over the years I’ve learned more and more what works and what doesn’t. The recipe development process happens over time and often the recipes that wind up on the blog are ones I’ve been making and tweaking for myself for a long time. Typically when I cook for myself, I eyeball a lot of measurements, so when I’m testing for the blog it means I have my handy dandy pineapple notebook out writing down scribbles of tbsp, tbsp, cups and so on until I get things just right. Once I’m confident with the recipe, I plan for the shoot. Like I mentioned I like to shoot 2-4 recipes in a day which can be a bit of a marathon. To make this go smoothly, the night before, I plan out what I want the shots to look like. I gather the ingredients and props so I’m ready to rock. That day, I set up the shot, create the recipe, plate it, shoot it and repeat the process until all the recipes are done. I love these days because I’m usually running around the house listening to a favorite podcast or audio book and I feel like I’m in my element. However, there are plenty of times that either the recipe doesn’t photograph as planned, I lose the light (especially in the winter) or I decide that it’s not the right fit for the blog. Another tricky aspect of these days is making too much food that I can’t finish, especially if it can’t be saved, like a smoothie. When I was living in Boston, I’d often call my sister who I’d use as a recipe tester/Snapchat assistant. Now I’m back home, living with my family, I have a couple more people to test the recipe and finish the food I can’t. This is probably one of my favorite parts of the entire process. Editing the photos. I love going through all the photos, choosing my favorites and bringing them to life in photoshop. Typically I don’t have to do too much, but I always use the “curve tool” to adjust the brightness, white balance and contrast. Typically, when I sit down to write about a recipe I ask “why should I care?” The “I” being YOU of course. The truth is, writing about food can get really freaking repetitive. How many ways are there to tell you that this thing tastes good and you should make it. (Not that many, really). However, there’s always a nugget of a story in each recipe. Some relatable truth that will hopefully inspire you to feel something. Excited, inspired, amused, entertained… hungry. This is when I get to put all the pieces together. Seeing the words dance around the edited final product still gives me a rush of excitement even after hundreds of posts. Finally, it’s time to schedule that bad boy to go live. So freakin’ satisfying. And when it does go live, it’s all about finding where and when and how to get it to your eyeballs whether that’s on Instagram, in your Bloglovin’, on your Facebook newsfeed or praying to the Pinterest gods it will go viral. If you’re a blogger – what’s your process? If you’re a reader – is that what you imagined goes on behind the scenes? Want more Georgie time? Samesies. Head to my Instagram where she’s taking over for the day! And to see my ‘day in the life as a food blogger’, head to Georgie’s post! With the thousands of recipes I’ve done (aka 3) I’ve underestimated just how much time (and energy!) goes into cooking, photographing and editing photos. Hopefully I’ll get into a groove soon but it definitely puts me out for the rest of the day (napping…). Thanks for sharing, Georgie! Super similar process! I’ve been better about having a plan of recipes a few weeks ahead of time, which makes knowing what I need during my grocery trips less stressful. Of course this weekend I threw myself a curve ball and decided to go rouge, and realized I forgot one of the main ingredients… Soooo I had to switch some things up a bit this week. No sweat though, it all worked out. I def like to work in batches as well, since I only have weekends to shoot (or nights if I am feeling extra motivated). I’m the same way with writing my blog posts, need peace and quiet! I was like that studying in school or writing papers as well, so it makes sense it hasn’t changed. I like to listen to podcasts or music while I am shooting and editing photos though. Such great tips to pick up from your recipe development process! I have definitely gotten into a groove over the past few months with developing recipes, but it is always great to see others’ processes too and pick up some useful tips. I need to start planning out recipes better, this process sounds so much better then the one I’m currently doing, which is test test test and when it’s good I take pictures – leaves me scrambling for light/props, etc. 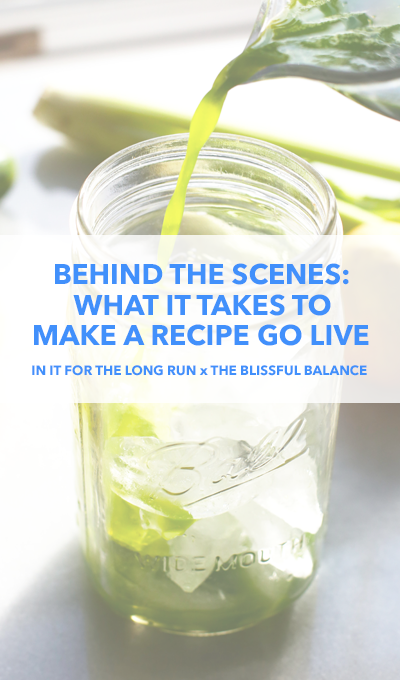 It’s really awesome to see what goes into one of your recipe posts, since so many of the tips are things I know I want to incorporate into my own blog growth and development, like the marathon photo shoots for efficiency and coming up with ideas ahead of time. I admire init4thelongrun so much, it’s inspiring to get advice from you! Reading about your process was super interesting! I love the “why should you care” part. That’s something I need to keep in mind when blogging, even though I don’t consider myself a food blogger. Why should a reader take 5-10 minutes out of their day to read my post? I love this thought. Reading this really make me appreciate how much time and work goes into creating recipe posts. Thanks for sharing this Georgie! First of all I’m so happy I found your blog Georgie! Reading all your wonderful and inspirational stories and healthy food posts really got me in the zone! Also love this post you wrote here! I have a full time job and at the moment I can only post once a week. I like to put a lot of effort in photographing and styling my posts so shooting more than one or two recipes on the weekend is hard. But after practice and understanding my schedule and process I will eventually post twice and hopefully photograph more on the weekends! Goals! I really have always wondered what goes behind all those cool pics! 😉 It makes me feel better that getting the hang of things like scheduling is something that isn’t over night. I’m still kind of learning about that as I go! Really inspiring and good things to keep in mind. Thanks for sharing!!! It’s crazy to think about how much work is done on just one recipe and doing more than one per day is extremely time consuming and exhausting. 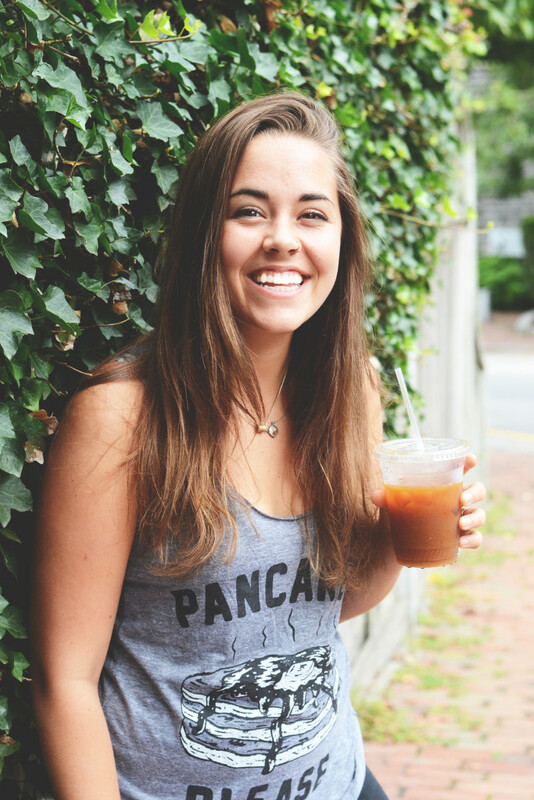 Props to you and Georgie for balancing your busy schedules and being able to run successful blogs at the same time! You ladies inspire me! This is really interesting to see how other people are creating their blogs. i tend to be pretty erratic at times, posting things that I feel like eating at the time, but I’ve got a huge list of recipes that I want to create and post! We’ve been moving around and living temporarily in the States at the moment but have just settled down in Portland for a while! Our new apartment as a beautiful kitchen so cannot wait to get more time for recipe creation! I’m definitely going to try your approach of planning out the recipes more carefully and taking one or two days a week for recipe creation! Thanks for the tips! This is perfect, because I’m starting to share recipes on my blog and have no idea where to start. Such a helpful post, and I would expect nothing less from you two ladies Thanks for sharing! I’ve been blogging for a few months, and I do something pretty similar. I really like how you plan out your ideas for a month. It seems like a great way to keep on schedule. Hey, ladies! I loved your blog-swap today. It’s always fun to hear how other bloggers get it all done. I don’t think anyone realizes how much work really goes into blogging behind-the-scenes! You’re both doing awesome. Keep up the good work!! I only work out one recipe at a time. I really hate to waste food, so I try to plan appropriately!! I usually will start writing my posts before I’ve finished shooting the pictures (or if I feel super inspired I’ll just start writing something that I think will work later). Then I typically finish writing after editing pictures when I see things come together It’s really interesting to see how others go through the process and how I could improve upon my own process! Pretty similar process for me, minus the writing posts in bulk. I USED to write in bulk and, though it was slightly less stressful, I’ve been getting in the groove of being 2-3 weeks ahead with my actual recipes (i.e. creating, photography & editing), but I don’t write the post until 1-2 days before it goes live. I’m not entirely sure why but it seems to be working for now. Love reading these kinds of posts! This was SO cool to read! I loved reading the two posts on each of your blogs. I’m so amazed and impressed at this schedule that you’re able to keep – I can barely get out one recipe post per week! You’re a recipe development MACHINE!!! I wish I was nearly as efficient…but it gives me something to work towards! Thank you so much for sharing this behind the scenes look. It’s so helpful! I’m still working on my process but I LOVE reading about everyone else’s process!